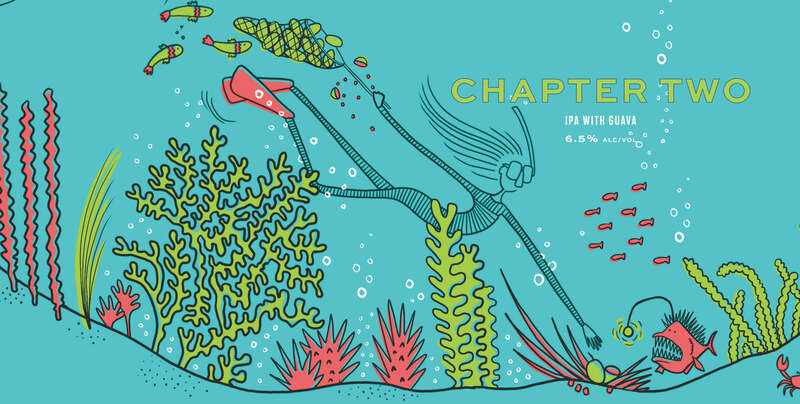 Chapter Two - Lamplighter Brewing Co. The second in our fruited IPA series, featuring juicy pink guava. The second iteration in our fruited IPA series, Chapter Two features juicy pink guava alongside Azacca and Amarillo hops, known for their citrus-forward and fruity aromas and flavors. Medium-bodied and smooth, Chapter Two’s rich tropical flavor combines notes of pear, quince, and strawberry, punctuated by a pithy backbone, silky mouthfeel, and soft bitter finish.